Summer is just around the corner, and that means longer days, time spent outdoors, and sometimes even vacations. But if you think you can’t afford a vacation without racking up more debt, think again. You can take a vacation this summer without losing the debt progress you’ve made so far this year. 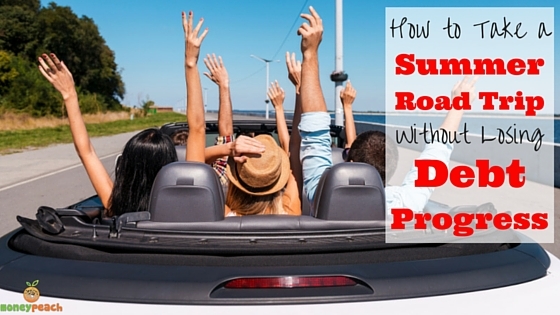 Here are 5 ways you can take a summer road trip without losing debt progress. When Andrea and I were saving for our emergency fund and sticking to our goal to pay off our $52k of debt, we had to stop the spending. This meant no more fancy dinners at restaurants, no more shopping days at Nordstrom, no more random Home Depot trips, and no more vacations! This was until we realized we could take some really cool budget-friendly vacations that cost next to nothing. Some things we took advantage of were Groupon deals in our area, camping (Andrea didn’t love this one), and a few small weekend road trips within our state. Yes, you can still have (a little) fun when you’re getting your life and money back! If you are married and have several children, this might not be an option for you. However, if you don’t have a large family you might be able to team up with a friend for a less expensive trip by splitting the fuel costs. What if can’t find anyone going the same way you are? Well then, you can go to erideshare.com to look for a travel buddy heading in the same direction. Keep in mind, you are taking a chance on traveling with someone you don’t know anything about so you do need to be careful if you consider this option. They do have tips about meeting with your new travel companion to make it easier for you, but the decision about whether or not to take a trip with him or her is entirely up to you. Prepare yourself – this option might require a little math. In some situations, it may actually be less expensive to rent a car for your trip instead of taking your own. When contemplating renting a car for your trip, you need to take several factors into consideration, such as the distance you are traveling, how old your vehicle is and how much maintenance it needs, the cost of fuel, depreciation of your vehicle, miles per gallon of each vehicle, cost of the rental, and coupons or discounts on the rental. By doing this homework, you might find renting to be a more economical option for your summer road trip. Bringing your own food can cut down the expense of a road trip significantly. Take a cooler for any cold items and a box packed with the items that don’t require refrigeration. When you get low on something, pick up a few items at a grocery store instead of eating at a restaurant. Doing this will save a bundle. If the weather is nice, pack a sleeping bag and just unroll it wherever you stop. Or, if that doesn’t appeal to you, consider exchanging a stay in your house with a stay in someone else’s at your destination. 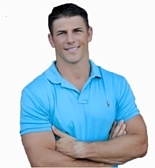 Homeforswap.com is just one of the many internet sites offering this service. If you are on your way to see someone, maybe you can couch surf on the way there and stay with them while you’re there to cut back on expenses. You could also stay at an Airbnb to cut back on lodging expenses. You can save money on activities by choosing entertainment that is free or relatively inexpensive. Go for walks or check out any historical sites in the area and learn about them. You can learn more about the area without shelling out a lot of cash. Museums and other attractions in large cities may also offer free or reduced price admission on certain days of the week or after a certain time of day, so that’s an option to consider as well. With proper planning, budgeting and preparation, it is possible to take a road trip vacation this summer without accumulating additional debt. So, pick a destination and start packing! Best road tripping fun I ever had was camping in national parks along the way. Great and cheap way to see the best the outdoors has to offer!